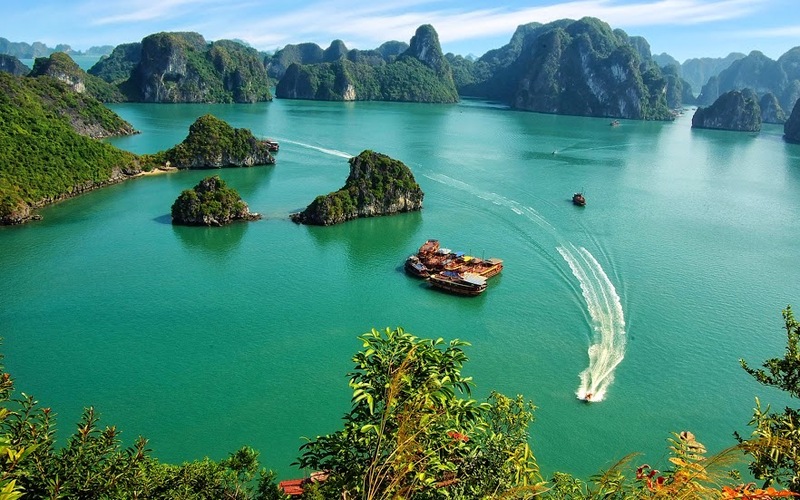 In Halong Bay, summer officially starts in May with the average temperature of about 27.5 degrees Celcius. 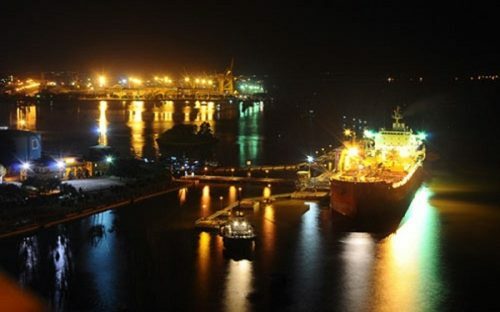 The maximum day time temperature can spike to 31oC while night time temperature is at 24 degrees Celcius. The daylight time can last for 13 hours and the day is filled with sunshine for about 6 hours. It is 14 days of rain and 192mm of rainfall that increase the level of discomfort and humidity on land. This also makes it tempting to dive into the sea water of 27 degrees Celcius. Clear blue sky, beautiful natural wonders on water in sunny weather in May will make any travelers excited to visit Halong Bay. Going swimming on immense sea water of Halong Bay in the morning or late afternoon is an amazing activity. Imagine lying on a beautiful wild beach and observing the magnificent sunset over thousands of great limestone islands, it can be a lifetime memory lasting long during your travel, your mind and your life. Another interesting outdoor activity to discover natural beauty that you should not miss, especially in summer, is kayaking on calm sea water. 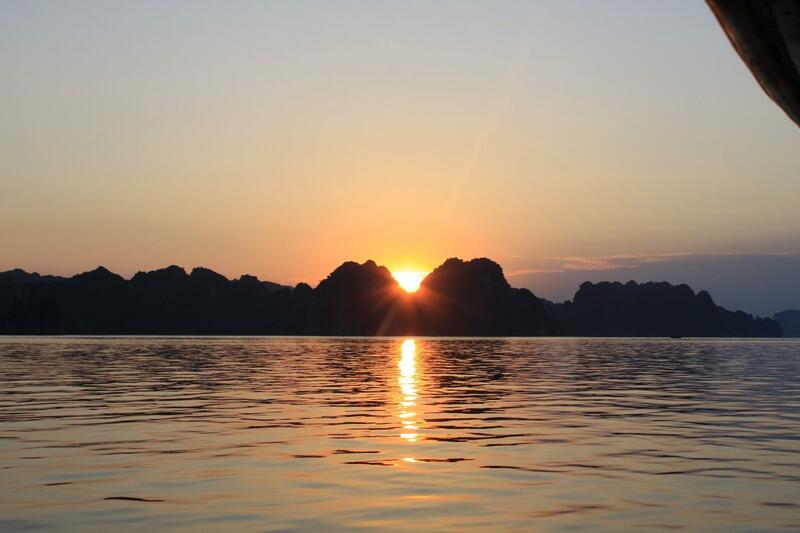 A must do when you visit Halong Bay on a cruise is paddling to get close to limestone island while getting low to sea water and tasting the beauty all around. What will you need to prepare for this sunny weather in May – a great time to enjoy outdoor activities? Bringing shorts, tank tops, flip-flops and sunscreen – the most importantly recommended. Sunglasses, eyeglasses and contact lens. 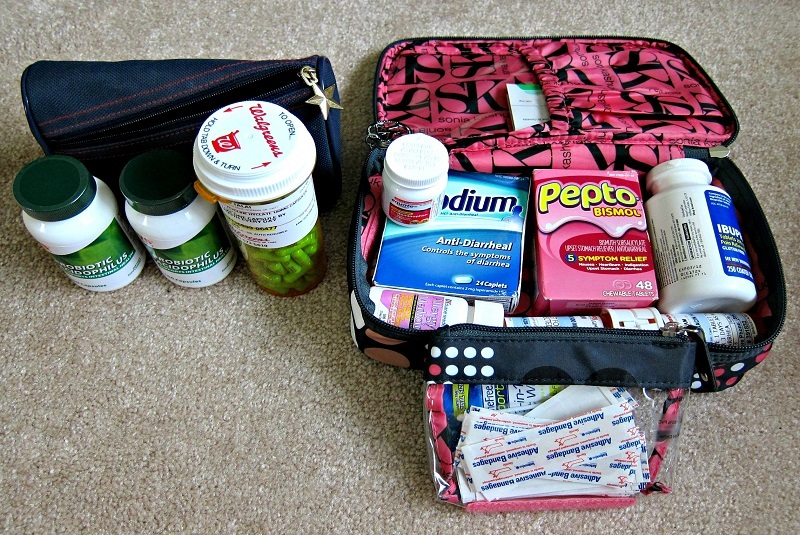 A first-aid kit, insect repellent, all prescription and over-the-counter medications in a sealable plastic storage bag. For beach days, each traveler should pack two swimsuits, one large T-shirt or beach cover-up, two rash guards, one wide-brimmed sun hat or one baseball hat and flip-flops or waterproof sandals. Pack a light sweater or sweatshirt for chilly mornings and evenings together with a lightweight nylon jacket if the forecast predicts the probability of rain. 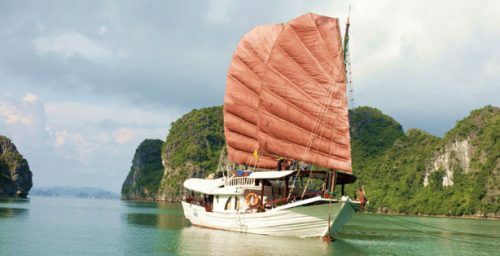 These months from May to September are considered to be the low season for traveling on Halong Bay, thus, starting from the 1st May, most cruise operators will offer special summer promotion. When you choose a cruise in May, let’s ask for this summer promotion deal! Schedule your trip between May and September if you are a budget minded travelers. Many cruise ships offer massive sale off on cabin: compared with other time in a year, during this time, you can save as much as 40% on a cruise trip. Tips: May, when the weather is just perfect for water based activities such as kayaking and swimming, is secretly known as the best month to travel.